much to offer and we will display it. A good alternative considering a getaway with the kids and family are the theme parks such as Catalonia in miniature, Torrelles de Llobregat (Barcelona), Mon Pyrenees Natura (Lleiad), Cim d'Àligues (Sant Feliu de Codines) o The Parc Cretaci-Museu d'Isona i Conca Dellà (Isona, Lleida). 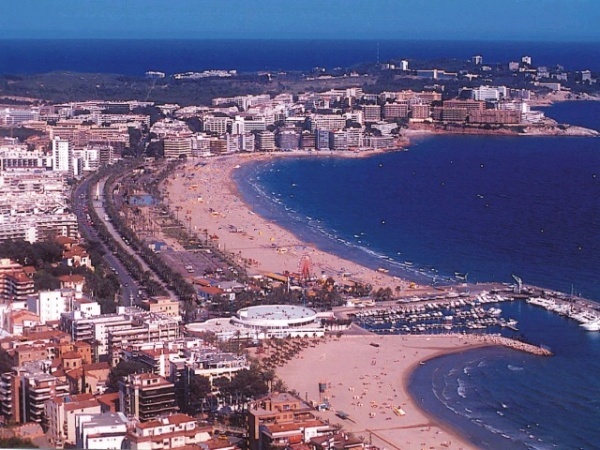 The Catalan coast, meanwhile, offers specialized destinations for family days. Costa Brava, with villages like Blanes or Pals or Torroella de Montgri; Maresme, with coastal towns such as Santa Sussanna, Calella and Pineda de Mar; or the Costa Daurada, spending a few days in Cambrils and Salou, for example. Other good idea considering the smaller ones are the trips to places to practice outdoor sports, but surely, as the bike routes in the natural environment of the region, water skiing, windsurfing, canoeing, hiking. The history of this region is overwhelming and very interesting. There are several routes prepared by Tourism Catalonia through which meet part of the culture that travels the country. Sites declared as World Heritage, Festivals and Traditions Catalan properly or medieval villages, among other things, await you in this journey. Visit the town of Empúries, where the remains of the ancient Greek activity in this coastal area is preserved. Knowing the Catalonia Romana visiting places like the archaeological site preserved in Tarragona, the Villa Romana de Can Terrés in Garriga or Iesso d'Archaeological Park in Guissona. Remains as Les Ferreres Aqueduct or the Arc de Roda de Bera Bera can be found either in the Catalan territory, even in the big city of Barcino, Barcelona. Intense medieval times and the origins of Catalan culture in Sant Joan de les Abadesses and Sant Pere de Rodes (both towns in Girona). Within this time the Cistercian routes, the Templars, the Romanesque Route or the Castles and Fortresses (such as Cardona) in a time travel are framed. The Wine Route. Along with the South of France, the Catalan wine production is the most important in Spain and one more reason to visit. This route passes through very different regions of the Catalan region where wine is produced with Designation of Origin. Oil Route. Product meditarráneo par excellence and staple food of the Catalan population, olive oil it is known as "liquid gold". The Route of the products of mountain and forest. These itineraries are proposed teach that covers the range of products they offer Catalan dishes: herbs, mushrooms, chestnuts or river fish seasoned local culinary tradition. The Cheese Route. In medieval fairs organized in Catalonia you can taste a variety of cheeses produced here. This route passes through the flavors of "killed" (cottage cheese), the "recuit" (curd) or cow and sheep cheeses. Route Pantry, as in ads Casa Tarradellas pizza, typical Catalan villa has always had an "rebost" (pantry) essential for families. The products of this route make a review of many of them, such as "ratafia" honey or "duck"
In towns such as Sort (famous for handing out millions of euros in Christmas Lottery) or Seu d'Urgell (near Andorra) canoeing is practiced throughout the year. The Vall d'Aran, a beautiful place to live surrounded by nature, hiking, trekking, winter sports such as skiing or mountaineering are ideal for practidos space. Skydiving is a unique experience and usually people want to repeat the sensations of a fall from the sky. Castello d'Empuries-Empuriabrava is the most famous skydiving center in Europe.